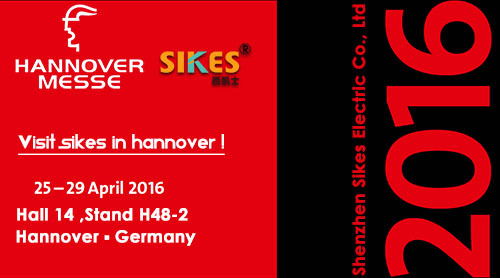 Visit Sikes in Hannover Messe 2016! From April 25-29, 2016 the HANNOVER MESSE will take place, and we are pleased to present there our new products and further developments in the field of electronic solutions and power systems. More information about our trade fair attendance and our upcoming product highlights can be seen here from February, 2016.